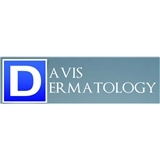 Davis Dermatology (Fairfield) - Book Appointment Online! Dr. Lance Davis is a Board-Certified Dermatologist specializing in pediatric and adult skin care. He enjoys practicing medical, surgical, pediatric, and cosmetic dermatology. He also specializes in skin cancer surgery. Dr. Lance is amazing!! Very personable and knowledgeable!